Dive in to the action of DC's Aquaman movie! 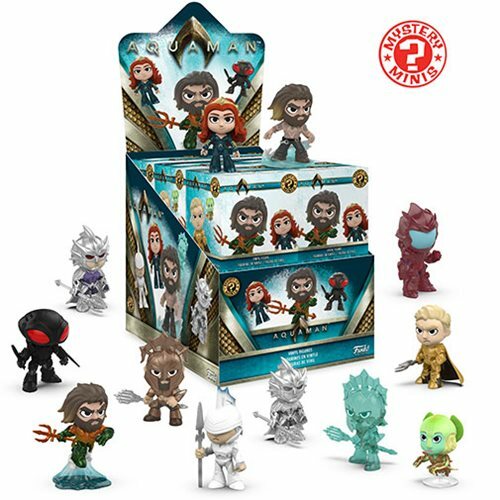 This wave of Aquaman Mystery Minis Mini-Figures includes Aquaman, Mera, Black Manta, and more. Each stylized vinyl figure measures approximately 2 1/2-inches tall. This Aquaman Mystery Minis Mini-Figure Random 4-Pack includes a total of 4x individually packaged mini-figures.